Or maybe it’s to keep your hands warm & your beer cold. 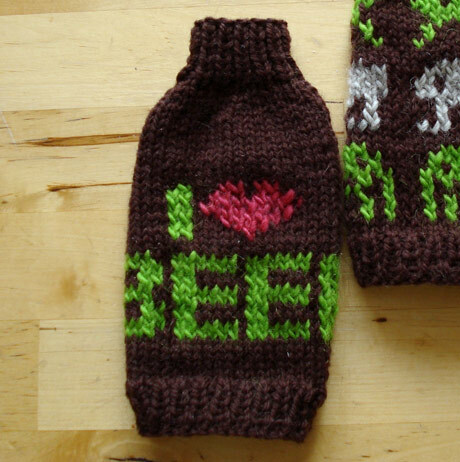 Either way you’ll look pretty damn cool doing it with one of these hand knitted Beer Cosy. Mar 25	This entry was posted in Drinking, Handmade, Sock Monkey's by cookie. Bookmark the permalink. Set of category illustrations for the social charity site - Believe.in. New site for the digital talent agency - Roome London.